In her role as president of the microfinance institution Fundación WWB, Daniela Konietzko serves some of Colombia’s most vulnerable communities, providing programs in financial education, entrepreneurship and more to low- income women who are often excluded from financial opportunities. 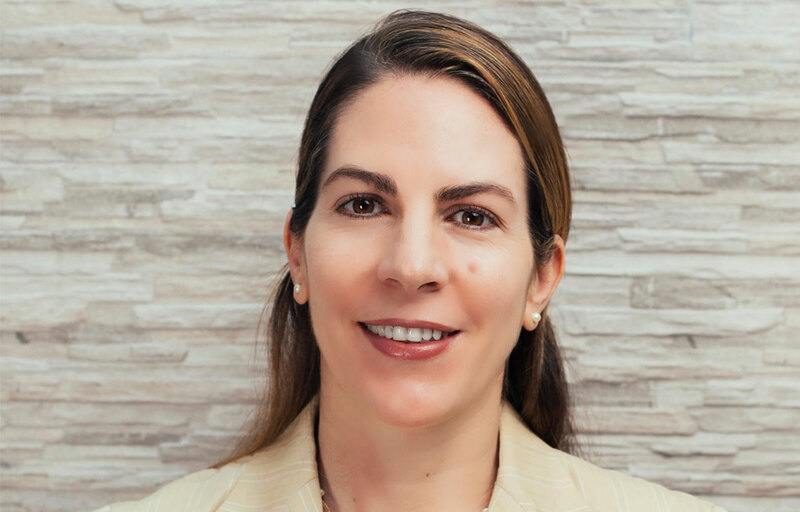 Daniela’s firm belief in women’s financial inclusion comes from years of professional experience in international relations and research as well as personal experience. She comes from a household that never placed limits on her abilities based on her gender. “Growing up with two brothers, our parents never treated me any differently for being a girl and encouraged all of their children in whatever path they chose,” says Daniela. However, knowing this is not the case for many women in her native Colombia, Daniela works with Fundación WWB in Cali, a populous city in southwestern Colombia, to provide women not only with opportunities and education, but also with affirmation of their equality within society. After completing her post-graduate education in Spain, Daniela remained in Europe to establish a career in business and technology consulting. While she saw the value of gaining strong management experience in the private sector, Daniela also sought ways to work with the social sector and contribute to development. She worked with a global think tank on issues concerning the role of women in democracy-building in fragile states. This work inspired Daniela to return to Colombia where she knew that many women were marginalized. “I had been away from Colombia for 15 years, and decided I wanted to work for the many women in vulnerable situations back home,” she recalls. Daniela returned to Cali to work for a local nonprofit nongovernmental organization (NGO), Fundación Alvaralice, which focused on communities displaced by the country’s regional violence and centered its mission on “peace building processes” through culture and education programs. Daniela witnessed firsthand the issues facing Colombia’s most vulnerable women and began to understand how tailoring development programs specifically for women created the highest impact in communities. Calling on her business background, Daniela examined the principal issues affecting women heads of household in Cali and identified a comprehensive “portfolio of problems” to tackle through Fundación Alvaralice’s programs, including both formal and cultural lack of education, informal employment, and domestic violence. Working directly with women reaffirmed Daniela’s enthusiasm for promoting women’s equality and economic empowerment. Financial literacy programs are critical in a microfinance market such as Colombia’s where the risk of overindebtedness is increasing and there is less cultural emphasis on savings. Daniela forged a partnership between Fundación WWB and Fundación Alvaralice to develop financial education programs for youth in vulnerable areas. She also works with other NGOs to combine resources and offer women comprehensive programs to tackle issues affecting their communities. Daniela’s experiences with finance, management and international relations all merge in her work with Fundación WWB. One of her key lessons has been the critical role of research in developing finely tuned, targeted programs. For example, the Fundación is working on a savings account for women, and research by partner Women’s World Banking has provided critical insights into how women feel about saving and the ways in which they save. The Fundación is already adapting their financial education programs in line with the findings.With several other programs underway, Daniela is convinced that the women she serves in Cali are becoming empowered through education and making smart, informed financial decisions that will impact their families for generations. Yrenilsa Lopez is an investment officer of Women’s World Banking Asset Management, a subsidiary of Women’s World Banking, which directs equity investments into inclusive finance institutions in the Women’s World Banking network through the Women’s World Banking Capital Partners fund.